The firm Ashok B Lall Architects was established in 1981. The practice has executed projects for educational research institutions in India and specializes in low energy sustainable architecture. The company is engaged in the development of the architectural curricula for the Indian context and contributes regularly to national professional journals for architecture. Recent projects include the Indian Institute of Health Management Research, Jaipur; S M Sehgal Foundation, Gurgaon, and Development Alternatives World Headquarters, New Delhi. Works include the Master Plan and Tissue Culture Pilot Plant for TATA Energy Research Institute Campus, Gurgaon; the Master Plan and Campus Development for the Indian Institute of Health Management Research, Jaipur; and the Transport Corporation of India Headquarters, New Delhi. Studio for Habitat Futures, headed by Sanjay Prakash, is a group of building technologists oriented towards design for the future – not a future that is extrapolated from the past with high consumption and waste but a future that is sufficient, regenerative, and efficient. 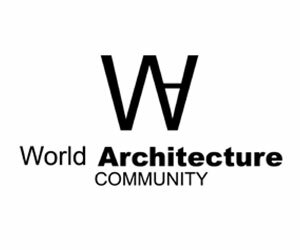 Known for innovative approaches to architecture and project management, energy-efficient architecture, eco-friendly design, and people’s participation in planning, this multi-disciplinary team consists mainly of architects, engineers, and project managers with varying backgrounds, promoting innovation and efficiency. Footprints E.A.R.T.H. is a professional service organization involved in environmental studies, architectural design, indigenous research, alternative technology and affordable housing. Research, applied research and dissemination are tri-prong activities of the organization. Contextual relevance, socio-cultural appropriateness, affordability, sustainability, and humaneness are the primary concerns for the design at FOOTPRINTS E.A.R.T.H. Footprints E.A.R.T.H. is headed by Yatin Pandya. He has been involved with city planning, urban design, mass housing, architecture, interior design, product design as well as conservation projects. He has written over two hundred articles in National and International Journals. Several books authored by him on architecture, especially “Concepts of space in traditional Indian architecture”, and “Elements of space making” have been published internationally. The firm is headed by Chitra Vishwanath and Vishwanath S. Biome Environmental Solutions is a Bangalore-based design firm focused on ecology, architecture and water. The office’s diverse team includes designers, architects, civil and mechanical engineers and urban planners from various parts of India and abroad. The designs are undertaken by the various member of this team in constant collaboration with each other via group discussions & exchanges and periodic meetings. Dharmalaya is an Indian charitable organization devoted to education and empowerment for compassionate living, with a practical focus on sustainable village development, contemplative service-learning, immersive ecotourism, and the preservation and adaptation of traditional wisdom. Didi Contractor is part of the Board, who is a renowned architect specializing in traditional eco-friendly earthen construction methods of the Himalayas. The studio produces work informed by an explicitly environmental agenda. The work creatively synthesizes attitudes and technologies into an aesthetic habitat and way of life. The studio has over 150 projects to its credit and its projects have been published and exhibited around the world. Three of their projects have been nominated for the Aga Khan Award. Mozaic strives to provide holistic solutions to its patrons. Our engagement often transcends the boundaries of project briefs and enter the realms of new experiences. We explore prospects of symbiotic growth of our clients with nature and encourage sustainable practices in architecture as well as industrial products. Pandala studied for a Masters in Urban Design at the School of Planning and Architecture, New Delhi. He had his Fellowship in Heritage Conservation at the University of York and at Fort Brockhurst English Heritage Training Centre in the U.K. He was the founding head of the second school of Architecture in Kerala (1985) located at Kollam where he spent educating and researching on traditional building technologies of India. Pandala while studying at Delhi School of Planning and Architecture met the legendary architect Hassan Fathy, and was inspired to build with mud. As a nature lover, and cultural heritage conservation activist, he designs buildings with natural materials, landscapes with biodiversity conservation, and native vegetation, preferring interesting organic forms. Pandala built his first mud house in Kollam in 1996, comprising 2,500 sq. ft. of building, bringing him to the public’s attention. Dustudio, Auroville is a collaborative, inter-disciplinary, architectural design practice based in Auroville, India & Inspired by ancient Indian thought & wisdom. The work of Dustudio aims to create a strong link between past, present, and future of building traditions in the Indian context, using the existing traditional knowledge base as well as innovating within the framework of its social relevance, economic viability, environmental impact and culturally rooted aesthetics. As a collaborative nature of its practice, it has strong links with the craftsmen, non-government organizations, corporate social programs and like-minded contemporary architectural practices around the country. Benny Kuriakose started his career in 1984 and received the basic lessons in architecture under the tutelage of Laurie Baker. He received the Charles Wallace India Trust award for an MA in Conservation Studies from the University of York., United Kingdom. He has received his doctorate from the Indian Institute of Technology, Madras. In his quest as a creative person, Benny has traveled diverse paths and translated the philosophy of his mentor Laurie Baker many times over. A retrospective of his work reflects his perseverance to transform those same concepts of cost-effectiveness, conservation, and sustainable architecture, in several sequences, whether it be in his designs for personal or public spaces. 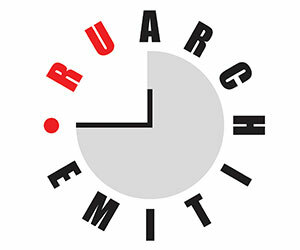 Benny Kuriakose’s strict adherence to the universal principles of architecture can be seen in the range of his work : in individual houses, resorts and institutional projects, in the Dakshinachitra project in Chennai, Tamil Nadu, in the rehabilitation of disaster sites at Nagapattinam, Bhuj or Lattur and in the Muziris Heritage Project in Kerala. Thannal’ means shade. Thannal Hand Sculpted Homes is a Natural Building Awareness Group, based in Tiruvannamalai, Tamil Nadu. Founded by natural building Architect, Biju Bhaskar and his wife Sindhu Bhaskar from 2011. Thannal believes in the Indian way of Learning. Indigenous knowledge in shelter making, which was practiced in India from the Vedic ages is what we explore and examine. Descriptions about pozzolanic reactions of suda (lime) and surkhi (burnt mud) are found in Vishnudharmottara’s Chitrasutra and how to use natural derivatives from plant and animals effectively in construction. India lacks legitimate documentation of indigenous knowledge in every field now, as many such sources have been either destroyed by foreign invasions and the existing sources are devoid of scientific explanations. Architect & Integrated Sustainability engineer and Co-Founder of The Auroma Group, Trupti hails from Mumbai with 15+ years of experience in ecological design, eco-friendly materials, appropriate building technologies, rainwater harvesting, waste management, energy efficiency, thermal comfort and use of renewables. A speaker at TEDx and covered by platforms like YourStory and The Better India, Trupti sees buildings and cities as complex living organisms which are parts of the larger cyclical loops of nature. She has lectured widely on a variety of subjects ranging from hidden geometry in nature, sustainability, smart cities, the role of technology, social development, Indian architecture and environmental entrepreneurship among others in several colleges and universities in India and across numerous cities in Europe. Recently, she was the speaker from Asia for the Bio-Architecture conference in Portugal. Her audience ranges from architects, civil engineers, environmentalists & planners to entrepreneurs, start-ups and students. The genesis of Hunnarshala lies in the collaborations and associations that were built after 2001 earthquake in Kutch with an objective to capacitate people for reconstruction of their habitat. Post-quake reconstruction saw a large-scale implementation of earth construction. It was a process in which artisans emerged as bearers of tremendous knowledge and the strengths of traditional building systems and forms were revealed. Made In Earth is an architecture studio and construction practice promoting an architecture with a lesser impact on our environment. Studio works with local, natural building materials and techniques, with a taste for experimentation. They especially use earth to create contemporary expressions and strongly promote minimal environmental impact of the entire building process. Founded by Dr. Vinod Gupta who is a pioneer in Sustainable design in India. He spent two years studying pre-fabricated housing in Denmark. From 1973 to 1989 he was full-time faculty of architecture at School of Planning & Architecture, New Delhi. In 1984 he completed his work for Ph.D. at the Center for Energy Studies, Indian Institute of Technology, Delhi. Among the special findings were the use of texture on buildings and the fragmentation of form to achieve cooling in the desert city of Jaisalmer. Space Design Consultants has designed India’s first Intelligent building i.e, CMC Mumbai. Recently, the studio has been awarded for designing India’s first Five-star GRIHA rated campus for IIT Gandhinagar. 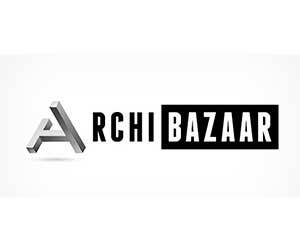 Thank you mentioning the list of 15 amazing architecture firm in India. I already heard about some of them. I heard a lot about dustudio. Will definitely going to try some other firms for my next project.